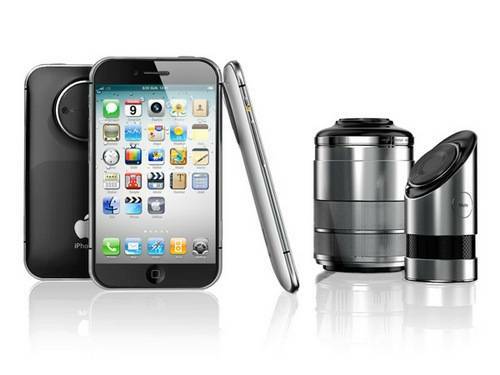 With all the hype and chatter about the next iPhone to come out of the Apple camp, whether the iOS smartphone is known as the new iPhone, or the iPhone 5 or something else, perhaps the iPhone Pro with a mount of its rear that can support numerous accessories including DSLR lenses might be what the next iPhone needs. Spec wise, the iPhone Pro offers a 4.5-inch 1280 x 800 pixel touch screen along with a 1.2 megapixel 3D camera that can hook up to a DSLR lens, quad core A6 processor, and all stuffed into a 9.6mm thick iPhone housing, and such accessories as a portable speaker, projector and removable hard disk. As for that special port in the back of the iPhone Pro, well apparently it can just about connect to anything. However there is of course just one small problem with the iPhone Pro, and that is the device is a concept phone brought to our attention by the guys over at Concept Phones, and by way of Yanko Design. Thus as the iPhone Pro is a concept designed by Jinyoung Choi, we’ll no doubt never see the iPhone Pro become a reality in the smartphone space. 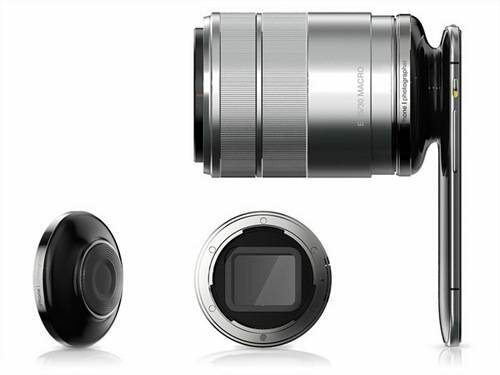 However I am sure that there would be a call for the iPhone Pro, especially from photographers that would love to make use of that DSLR mount. 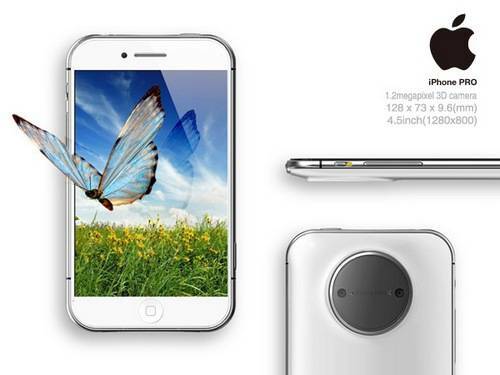 So perhaps there is a need for the iPhone Pro to be the iPhone 5, and who knows, Apple just might take a few tips from the iPhone Pro concept when it comes to a 4.5-inch display and DSLR mount, anything is possible. Wow, I love it, this should be the next iPhone!